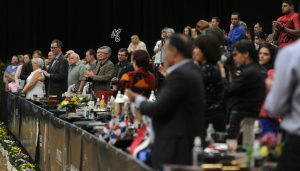 The Arabian Breeders’ World Cup event returns to the South Point Equestrian Complex for the 12th consecutive year. 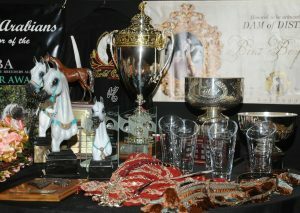 The show is a celebration of the Arabian breed and the lifestyle associated with owning Arabian show horses. 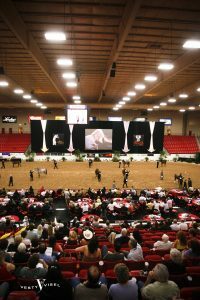 Worthy of its location on the glitzy Las Vegas Strip, the Equestrian Centre is rated as the finest indoor horse facility in the country and hosts some of the most prestigious equestrian events in the world. The Arabian Horse Breeders’ Alliance (AHBA) is a non-profit organisation dedicated to promoting the Arabian horse. 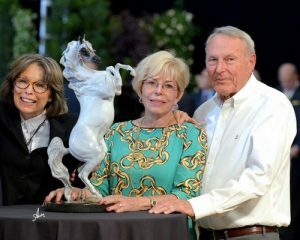 The group is a worldwide community of Breeders’ united in their passion and devotion to the Arabian, promoting thoughtful guardianship for future generations of these magnificent horses. 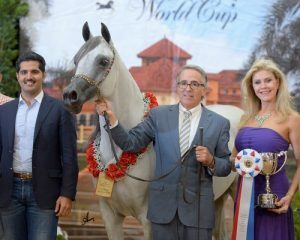 The Arabian Breeders’ World Cup 2018, returns to Las Vegas for the 12th consecutive year with another blowout celebration. 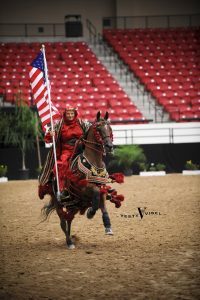 One of the world’s premier purebred Arabian horse shows, this international competition garners global entries with over 26 countries represented annually. The public are invited to this family-friendly, FREE general admission event. 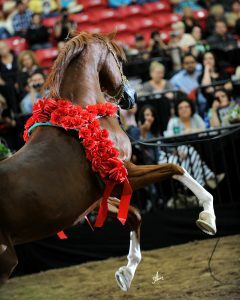 The event is a judged competition that showcases the natural beauty, nobility, excitement and unique characteristics of the Arabian horse breed while providing a lively and entertaining experience for both Breeders’ and those new to Arabian horses. The eight-person panel of internationally renowned judges includes Raouf Abbas of Egypt, Fabio Amorasino of Brazil, Doug Dahmen of the USA, Bruce McCrea of the USA, Ron Palelek of the USA, Phill Ryan of Australia, Renata Schibler of Switzerland, and Marianne Tengstedt of Denmark. Over 250 horses will be competing for more than $175,000 in prize monies. Entries representing the United States and 25 other countries. The competitive field includes World Champions, previous World Cup Champions plus dozens of US National, Scottsdale and International Champions. This show is unique in US horse show competition in that classes are only for purebred Arabian breeding stock. Competition is conducted in European style using the World Cup Scoring System, similar to the All Nation’s Cup in Aachen, Germany and the World Championships at the Salon du Cheval in Paris, France. 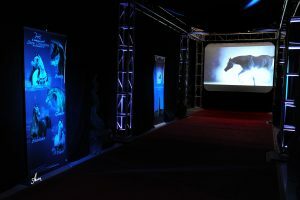 Beautiful Las Vegas showroom style presentation and a comfortable theatre setting make this South Point Equestrian Centre event an atypical horse show experience. Commercial exhibit area offers unique boutiques and equine-themed shopping. 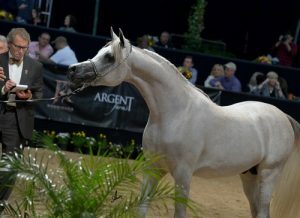 To be clear, The Arabian Breeders’ World Cup is not the ordinary horse show experience. The 12thanniversary event of this spectacular Arabian horse extravaganza is not to be missed – even if you have never attended a horse show before, you will enjoy this world class weekend experience. Next articleWorried about the spring grass? Prone to laminitis?